That’s perfect. That’s just what we needed. A film spreading fear of WMDs. Oh, and the chemical attack takes place in London. “One of the most lethal airborne pathogens” in the world, codenamed Satan’s Snow, is set to be dropped from the skies of the British capital and kill us all. Perhaps now we can invade yet another evil country in order to ensure that such tragedy never takes place. Just in case. Thank God we have the secret service to save us all from impending doom. This blend of spy caper and frenetic action British movie goes more or less like this: boooooom, run!!! Shoot, shoot again, fa-thud, ZLOPP, BRATATAT, bratatat, HUGE EXPLOSION, run again, car chase, ROOOAR, sputter, sputter, sputter, boat chase (in Canary Wharf!!! ), WHOOSH, bang, bang, bang, bang. Blood. Murder, Run, run, run!!! Bad guy hasn’t died, run, run, run, shoot, shoot, shoot. Another explosion, BRATATAT, bang. Yet more blood! Well, I guess that by now you have more or less worked out what Stratton is all about. The problem isn’t just that this is an action movie entirely devoid of innovative devices and embracing akmost every conceivable action cliché, from exploding cars to Armageddon-like terrorist threats. 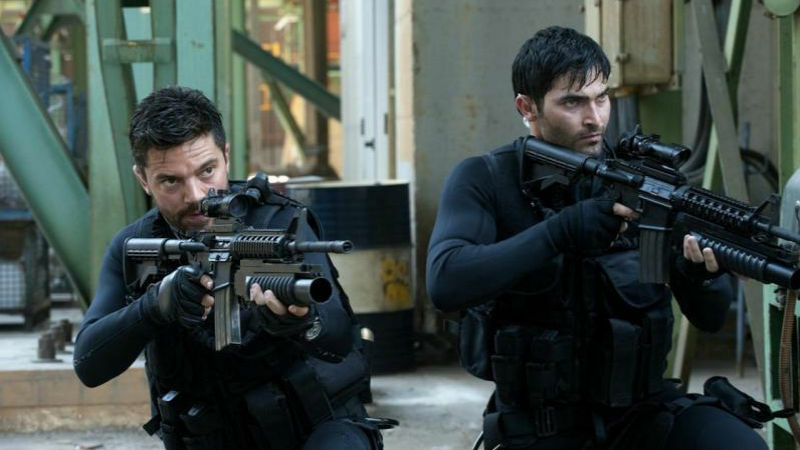 This movie is about a British Special Boat Service operator called John Stratton (Dominic Cooper) tracking down an international terrorist cell. You don’t to know anything else. Everything else is redundant and gets diluted in the shambolic good-vs-evil narrative. The nationality of the bad guy couldn’t be more unexpected: Russian. Oh, and there’s some element of Iranian there. The Manichaeism is insulting. But that’s not all. The make-up is also poor and the special effects are just about OK, but not impeccable (which most people expect in the age of CGI). To boot, some of the acting is extremely poor, to the extent it evoked laughter from the audiences for all the wrong reasons. The young actors try very hard to sound tough and authoritarian, like a good MI6 agent would, but some fail tremendously at doing so. The movie ending is particularly shambolic. 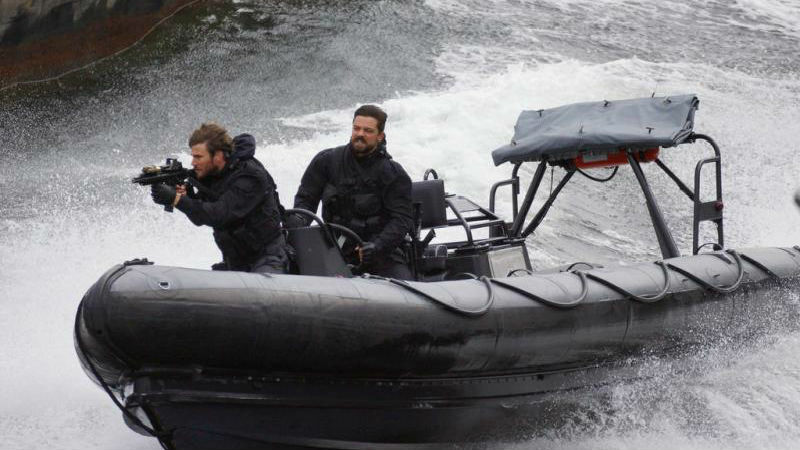 Stratton is out in movie theatres across the UK on Friday, September 1st. Be scared, be very scared. But it’s not of chemical weapons, but instead of poor filmmaking with hardly subliminal xenophobic and belligerent tones. WMD enthusiasts like Tony Blair and David Milliband might like Stratton, but you probably won’t. We recommend that you stay away from the cinema.